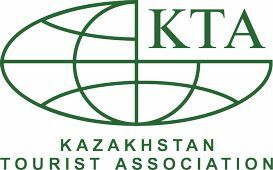 Outfitter KZ team is pleased to offer a one-day tour to Tanbaly petroglyphs. "... in the afternoon the September sun was still burning the stones hot on the faded mountain slopes, and the hot wind, lifting a century dust out of excavation, dried people's skin which was already rough, tanned and weathered . Beautiful young woman bent over a notebook, sitting at the edge of the excavated ancient tombs and wrote something with an even legible handwriting. An annoying wind hurried to turn an unfinished page of her field diary. “As usual, the most important and interesting discoveries happen at the end of the field season, thought Anna Georgiyevna. The burial ground with gloomy title "Karakuduk" was discovered quite unexpectedly. These stone crypts of the Bronze Age are more than three thousand years, and perhaps they can be considered the oldest in the Seven Rivers". Suddenly, looking up from the diary, she saw a man briskly approaching the excavation from the nearby gorge. He was almost running with his leather top box over the shoulder and the inseparable "Moscow" over the neck. The photographer during the expedition is a privileged person; his schedule does not coincide with the daily routine of other employees. And today, on the 19th of September, while waiting for the midday sun for filming on the excavation, A.A. Popov had wandered into the gorge, being attracted from afar by the shine lacquer rocks. Having passed only a few dozen of steps, he literally froze at the sight of many excellent drawings, knocked on the broad stone paintings that surrounded the narrow valley. On brief examination of them he was now in a hurry to announce his discovery to his colleagues. 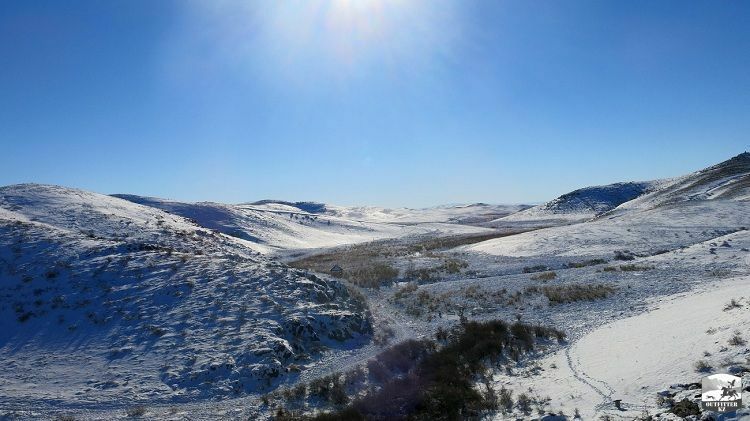 Over the next two days the wide-open land of Karakuduk was forgotten: Maksimov and Popov were getting acquainted with Tamgaly (Tanbaly) was so called by locals. It was a picturesque gorge with petroglyphs. Going from one painting to another and methodically numbering the shots of drawings on stones. The explorers made about two hundred pictures of the most valuable petroglyphs and compositions. 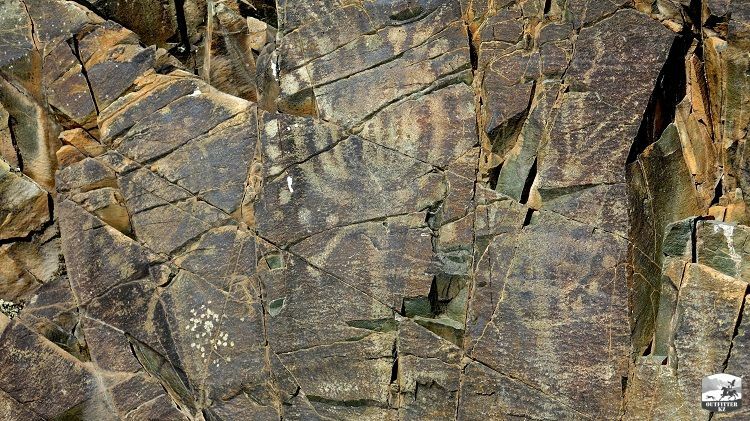 A year later the first scientific publication of Anna Georgiyevna Maximova dedicated to the petroglyphs of Tamgaly was published. 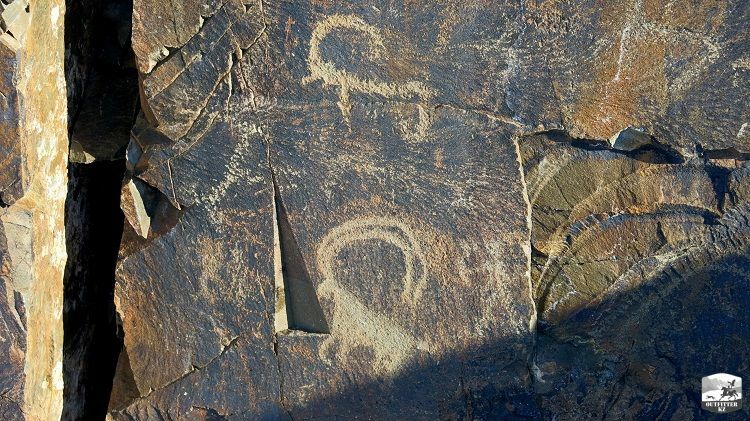 Thus for almost half a century ago the opening of the one of the most remarkable monuments of rock art in Kazakhstan and Central Asia was found .... "
A.E. Rogozhinsky "Petroglyphs of the Archaeological Landscape of Tamgaly." In Kazakhstan there are practically no people for whom the word "Tamgaly" would be less familiar than the "Golden Warrior" from Issyk or Otrar. Organizers of the International contest-festival "Voice of Asia" have borrowed for the festival's logo a slightly modified image "of sun-headed" deity from Tamgaly. In the years of independence the monument has gained popular fame: from year to year the number of visitors to the museum under the open sky is growing, and so is the number of foreign tourists. In 2004 the monument was included in the UNESCO World Heritage List as "Petroglyphs as part of the archaeological landscape of Tamgaly." This event emphasized the high importance of Tamgaly, which is a first monument of rock art in Central Asia that entered the treasury of world culture. 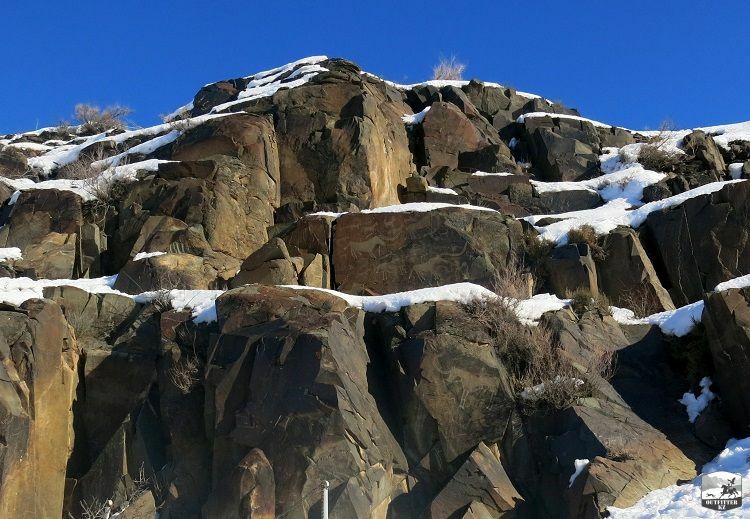 Petroglyphs of Tamgaly (Tanbaly) are located 170 km north-west of the city of Almaty in the Anrakay mountains. This is a real art gallery where the work of ancient masters of several eras was left: there are about 4 000-5 000 paintings belonging to the Bronze and Turkic periods, as well as to the period of early nomads. Not all monuments of Tamgaly are well studied, therefore many questions about the history of the fascinating places of Tamgaly remain unanswered. 50 USD per person in a group of 4, total 200 USD. 60 USD per person in a group of 3, total 180 USD. 82,5 USD per person in a group of 2, total 165 USD. 160 USD for an individual tour. - mineral water, 1.5 L per guest. The total route length: 7-8 hours.